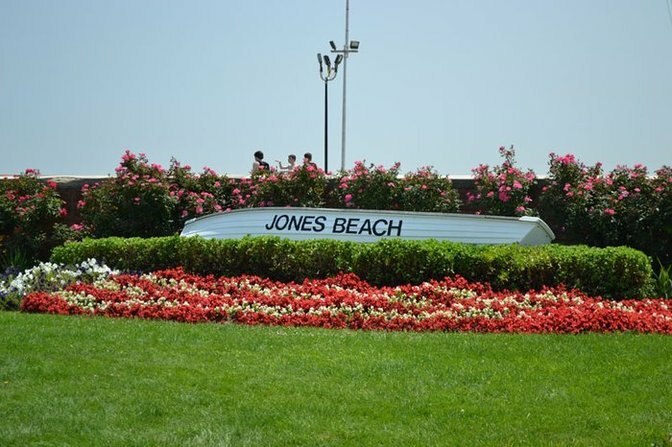 Jones Beach is a popular local for Nassau natives and visitors. Nassau County is among the most affluent regions of New York State. With two cities, three towns, and 64 villages, Nassau is a bustling area on Long Island containing a diverse business base, some of New York's best schools and some of the most beautiful scenery on the East Coast. Nassau County is dominated by suburban communities, straddled by one of the greatest cities in the world as well as other suburban and rural communities. According to the 2010 census, Nassau’s population is about 1,339,500 people, with over 448,500 households and nearly 340,500 families. The population is fairly dense, with 4,655 people per square mile, on average. According to a 2012 survey conducted by Forbes Magazine, Nassau County residents have the 12th highest median household income in the country, and the highest in New York. Several Native American peoples inhabited the area when European settlers arrived, including the Marsepeque, Secatogue and Matinecoc. Dutch and English settlers split Long Island along what is the present-day border of Nassau and Suffolk, with the Dutch occupying the west and English settlers from the Connecticut colony occupying the east. Nassau County was formed in 1899 by the division of Queens County, after the western portion of Queens became a borough of New York City in 1898. Mineola was selected to be the county seat. Nassau County witnessed a series of historic episodes, going back to the emergence of the United States. The Town of Hempstead was split in two by the Patriots and Loyalists during the Revolutionary War, thus causing the formation of the Town of North Hempstead. The booming years between the late 1800’s and the 1930’s saw the creation of several luxurious Gold Coast estates, which served as the basis of F. Scott Fitzgerald’s The Great Gatsby. Nassau County’s flat plains were also the stage for advancements in aviation technology. Hempstead Plains served as a training ground for aviators in both World Wars. In 1927, Charles Lindbergh’s famous first nonstop transatlantic flight to Paris took off from Roosevelt Field.